The year 2012 marks the 300 year death tricentenary of Bhai Nand Lal Goya. Even though Bhai Nand Lal was one of the dearest devotees of Guru Gobind Singh and his compositions have been awarded canonical status by the Akal Takht, he seems to be a neglected figure amongst common Sikhs. A new UK based website project wishes to change this. Bhai Nand Lal (c. 1642 – 1712) was born in Ghazni, Afghanistan where he spent most of his childhood years. During his formative years, his father engaged him in classical Islamicate learning which encompassed a deep study of the Persian and Arabic languages as well as a comprehensive schooling in the Qur’an, Hadîth and works on mysticism such as Hujwirî’s Kashfu’l- Mahjûb and Rumi’s Mathnavi-ye Ma’navi. As he grew up he took a keen interest in the political and administrative affairs and eventually took over his father’s job as a Munshi after he passed away. His destiny however, was not to remain in Afghanistan. After marriage and the birth of two sons, he left for India where he found employment in the Mughal court at Agra where he served the crown prince Muhammad Azzam, who was to become the future Mughal emperor. As the tradition goes, Aurangzeb once assembled his court mullahs and Islamic scholars of Delhi to have them interpret a certain verse of the Qur’an. Each of them came up with different interpretations based on tradition and new thinking, yet none of them satisfied the emperor who got weary of the many failed attempts of skillful exegesis. At this, Bhai Nand Lal volunteered to come up with an interpretation. After the emperor had heard the exegesis of Bhai Nand Lal, he was so fascinated that he wished to meet Bhai Nand Lal in person. When he found out that Bhai Nand Lal was a non-Muslim, he gave Bhai Nand Lal the opportunity to convert or die, as it was a shame to have such talent be wasted as a non-Muslim. After hearing this, Bhai Nand Lal escaped from the Mughal court during the night and sought shelter at Anandpur where he met the young Guru Gobind Singh. In the holy city of Anandpur, Bhai Nand Lal joined the entourage of 52 poet-scholars who had come into the presence of the Guru to compose and translate ancient works into the common language of the time. Amongst the translated works were those of spiritual treaties, political manifests of government and diplomacy, ancient mythology and philosophy, manuals of rhetoric, tales of love, eroticism and treachery, literature of warfare and heroism etc.. 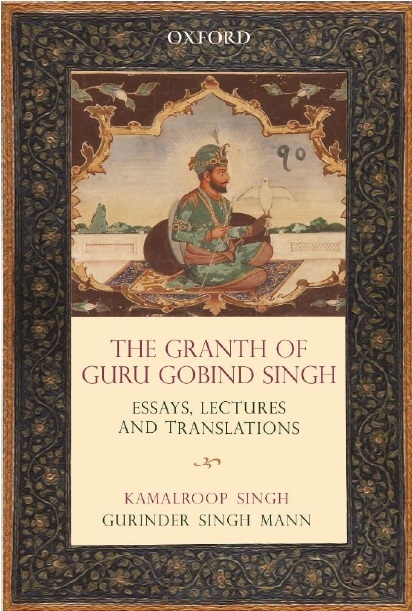 In this entourage of poets, Bhai Nand Lal stood out as a great scholar of Persian, but even more as a deeply devoted follower of Guru Gobind Singh. 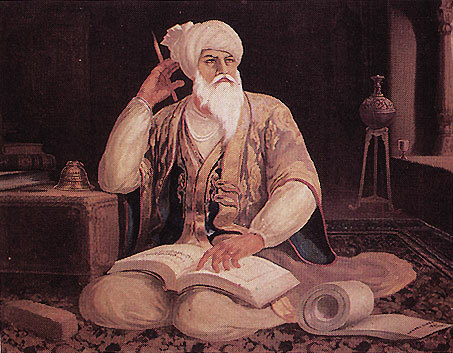 His many compositions were praised by the Guru and he was given a hukam to convey his compositions to the many sangats that arrived from near and far to have the darshan of their Guru. In the City of Bliss, thousands of residents lived, studied and worked in the near presence of their Guru and Master. Furthermore, thousands of pilgrims came from far to see their Guru and amongst all of these, Bhai Nand Lal acquired a special place in his Guru’s heart. Many different stories from Anandpur relate how Bhai Nand Lal was praised and honored by the Guru who called him his own jewel, while others indicate that he was part of an inner circle of close and beloved devotees. While the evolution of the Adi Granth to Guruship was publicly announced in 1708, Bhai Nand Lal was given this information in a private conversation in 1695, that is, 13 years before it was announced to the world. While most are written in classical Persian, others are written in Arabic and Punjabi, and some of the compositions are a mix of two or more languages. 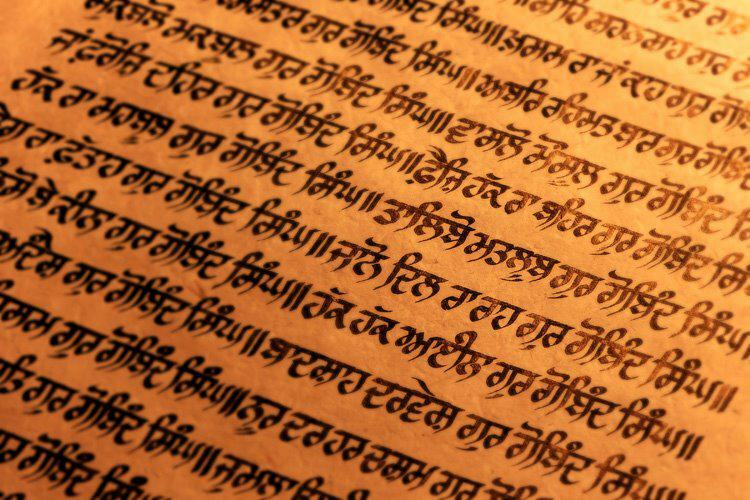 While most of his works are commentaries on the Guru Granth Sahib, others are eloquent responses to other Persian poets of the past, paraphrases of Qur’anic verses and eulogy of the 10 Gurus. 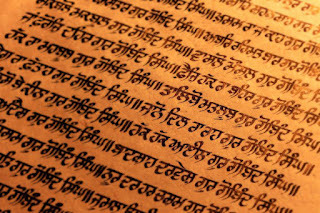 In the early 20th century, the Akal Takht raised his works from mere poetry to canonical scripture in the Sikh tradition. The only other Sikh to have been raised to such a high platform is Bhai Gurdas. In spite of his fascinating life story however, Bhai Nand Lal remains a neglected figure amongst common Sikhs. Most people know his name, but only a few have actually read his compositions and life story. A UK based project wishes to change this and spend the next couple of years in celebrating the name and works of Bhai Nand Lal. As a part of this project, a website will be launched later this summer and serve as a platform for information on the life and works of this celebrated poet. The website will include various articles and e-books on Bhai Nand Lal. As an extension of the website, the project has also commissioned new paintings of Bhai Nand Lal, Persian Calligraphy and musical Kirtan renditions of the Persian and Punjabi compositions. In this way, it is hoped that the 300 year death tricentenary of Bhai Nand Lal will result in a greater awareness of his life and works. For Sikhs of today, Bhai Nand Lal is a representation of the spiritual aspect of Guru Gobind Singh. While much focus has been laid on Guru Gobind Singh’s soldierly aspect, not much has been written on the saintly aspect. Bhai Nand Lal and his poetry is the very image of this soft and tender side of Guru Gobind Singh. As a man of piety, non-Indian roots and an exceptional talent in mystical writing, the Afghan-born Bhai Nand Lal deserves to be known throughout the world in the same way as his predecessor poets Rumi and Hafez have been known in the past few decades. 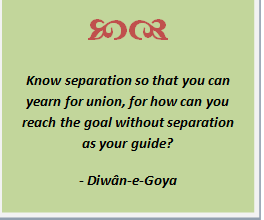 As a first step of achieving this goal, a Facebook page has been set up which sends out a daily quote from the Diwân-e-Goya. Click here to become a fan of this page and receive a daily quote. As the moon merely reflects the light of the sun, likewise, Bhai Nand Lal is an eternal reflection of the majesty and tenderness of Sri Guru Gobind Singh.